You’re only browsing a fraction of our expert network. Start a custom expert witness search to access the full power of our network. This expert earned his BS in hotel administration from the University of Nevada, Las Vegas and his MBA from the University of Missouri, Kansas City. He began his career in hotel operations and hotel accounting for Westin Hotels and Resorts, before working at Amfac Hotels and Resorts as the director of management services. He also served as the director of real estate administration in the world headquarters of Hilton Hotels Corporation. This expert is a certified master hotel supplier and a member of the American Hotel and Lodging Association. 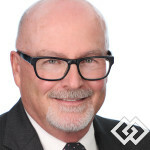 Currently, he is the president of a hospitality and hotel consulting firm based in Nevada, where he specializes in advising clients about hotel operations management, standards of care, feasibility, and real estate development. The Expert Institute helps me tackle some of my most difficult cases. They quickly respond to my inquiries and schedule appointment to accommodate my deadlines, even if there is short notice. The Expert Institute has provided me with experts time and time again that fit the particular needs of my cases. I highly recommend their service. Send a message to this expert and get started right away. There’s no risk or obligation to submit a request. Questions? Call us at (888) 858-9511.